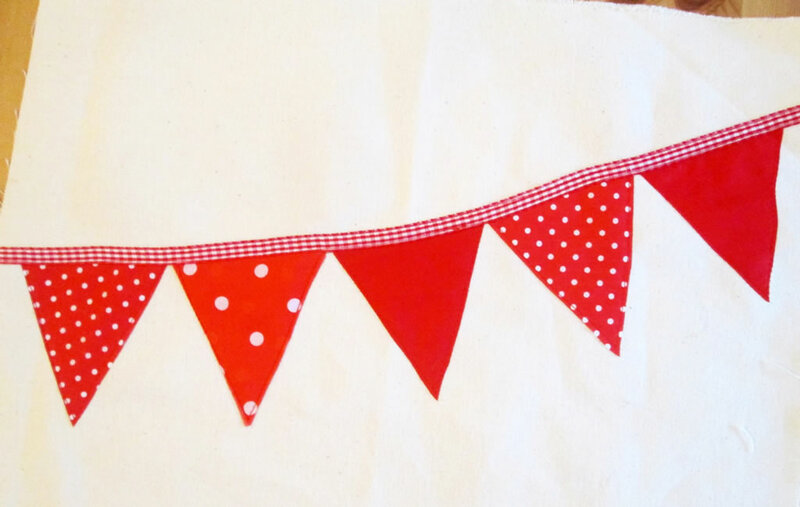 Welcome to the Year of Bunting Challenge 3! 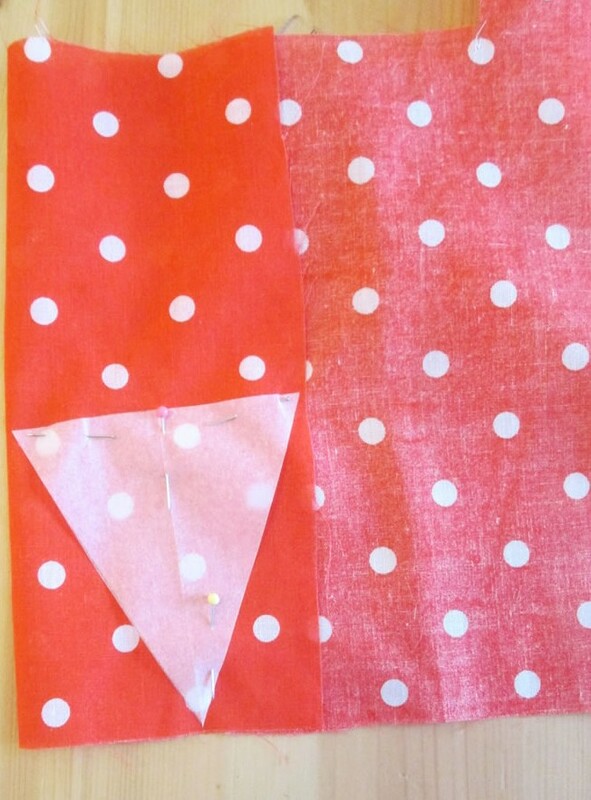 Challenge 2 was to make some bunting embroidery and several people took part. Hazel made a cross stitched book mark. Julie made a needle case (she has a craft blog too which you can find here). Christine made an embroidery hoop hanging with bunting and tassels. You can read more about what the challenge involved here. 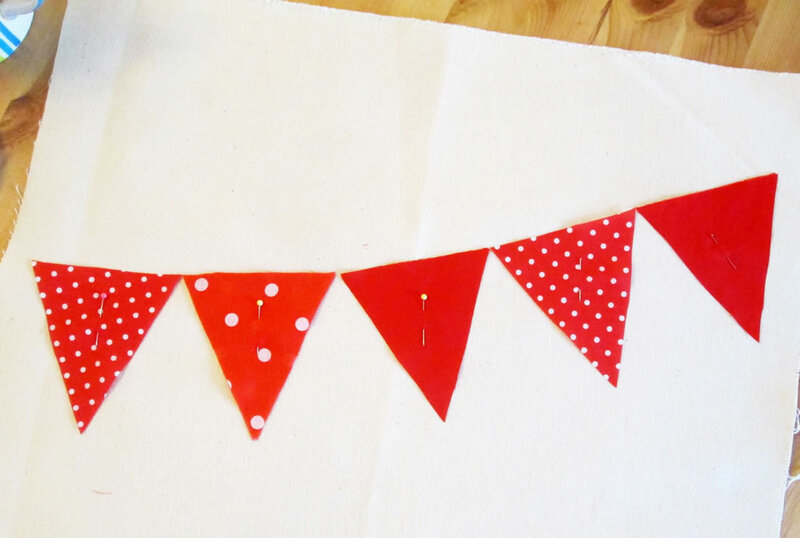 Challenge 3 is to make some knitted or crocheted bunting. Since we’re already half way through April, this challenge will run until midnight BST on Sunday 12th May. 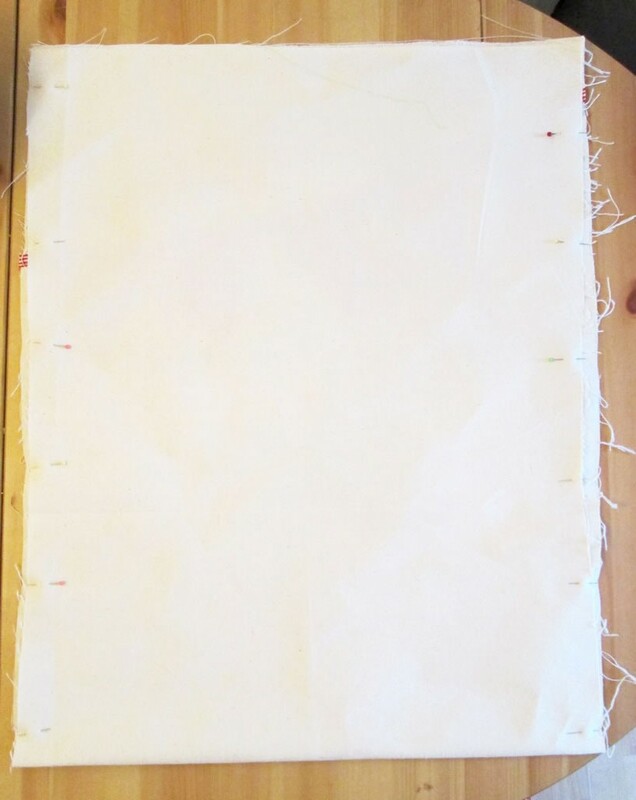 If you’d like to enter, all you have to do is knit or crochet some bunting, then either post it on Instagram or Twitter using the hashtag #yearofbunting, or post it on the Tea and a Sewing Machine Facebook page. If you’re stuck for ideas, here are some that might help. 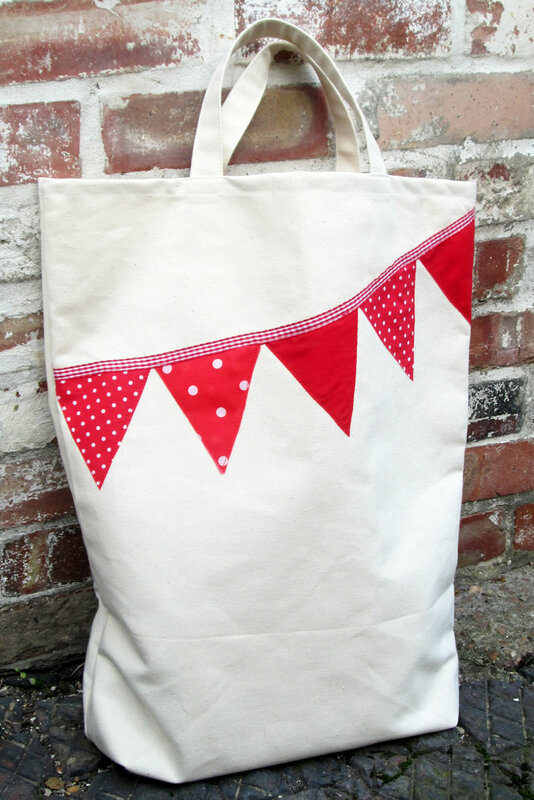 You could use up odds and ends to make stripy bunting. 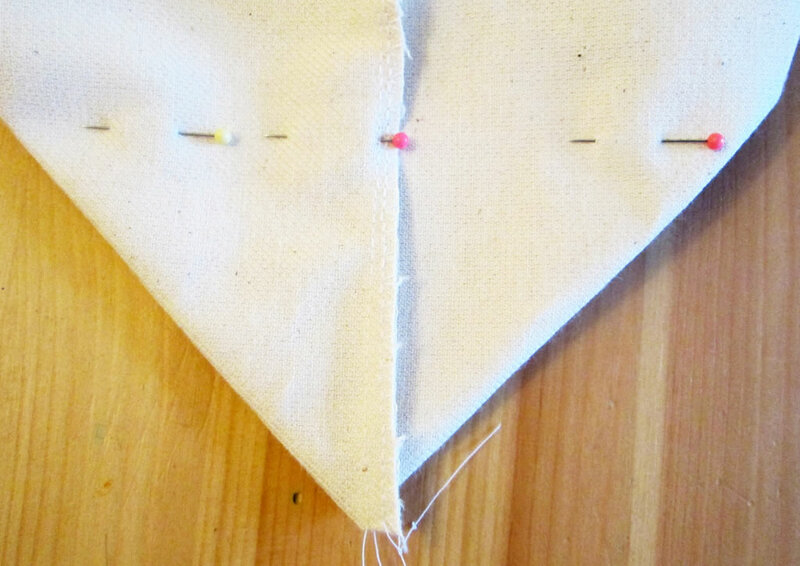 If there’s a stitch you particularly enjoy, you could make triangles featuring that stitch. 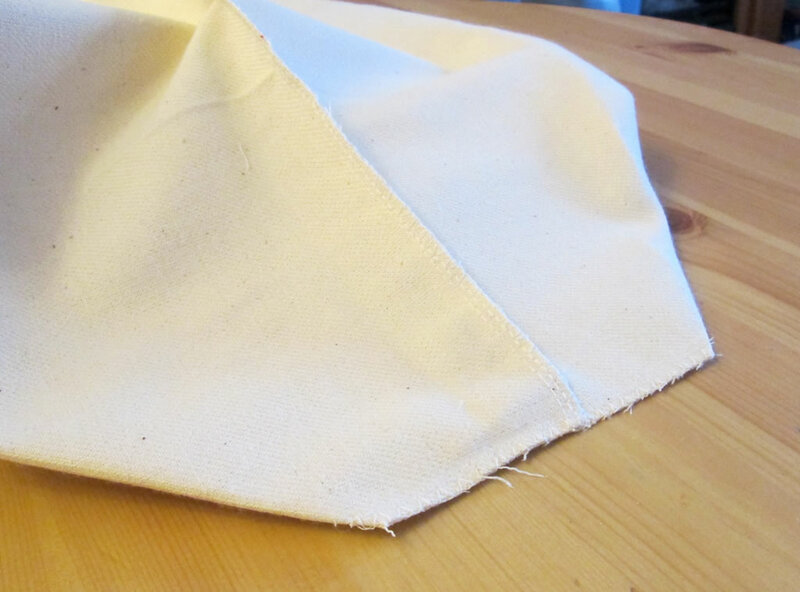 For crocheted bunting, you could make the flags either by crocheting rows, like knitting, or by crocheting in the round. Crocheting in the round is a good way to make bunting if you want to start with a flower in the middle. Another option is to make the flags, then add your design. 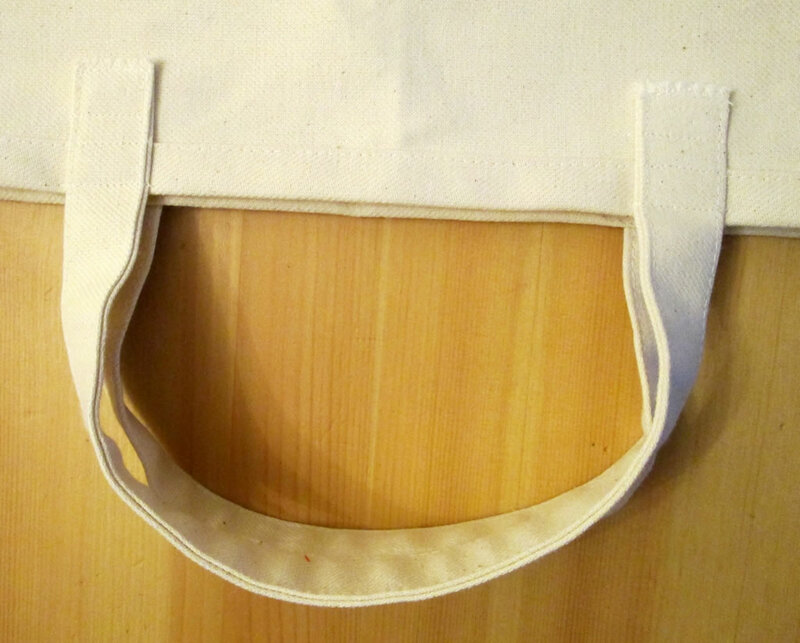 You could embroider it or add knitted or crocheted details. If you find that the edges of your knitted triangles are not as neat as you would like, try not knitting the first stitch of each row. Instead, slip the stitch onto the the needle, then knit the next one. 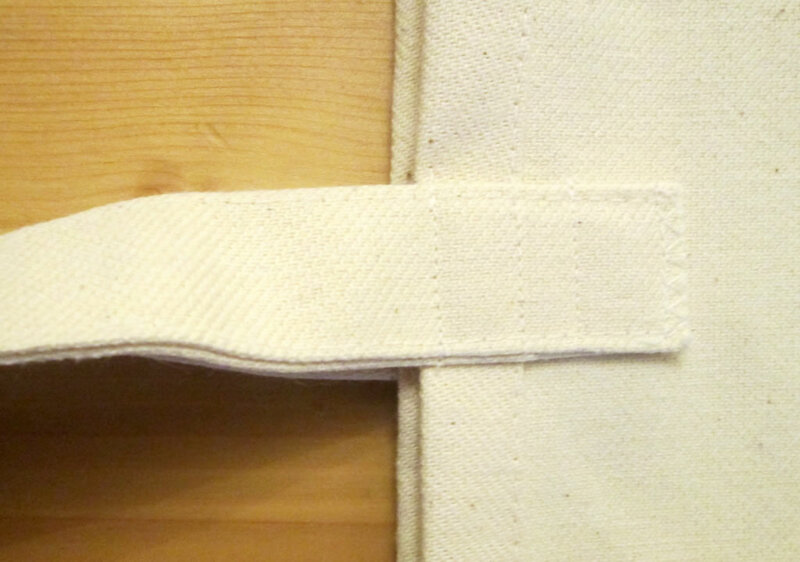 If you are decreasing stitches, slip the first stitch onto the needle, then knit the 2nd and 3rd stitches together. To crochet triangles in the round, start off with something that can be divided by 3. Work out where the corners would need to be. 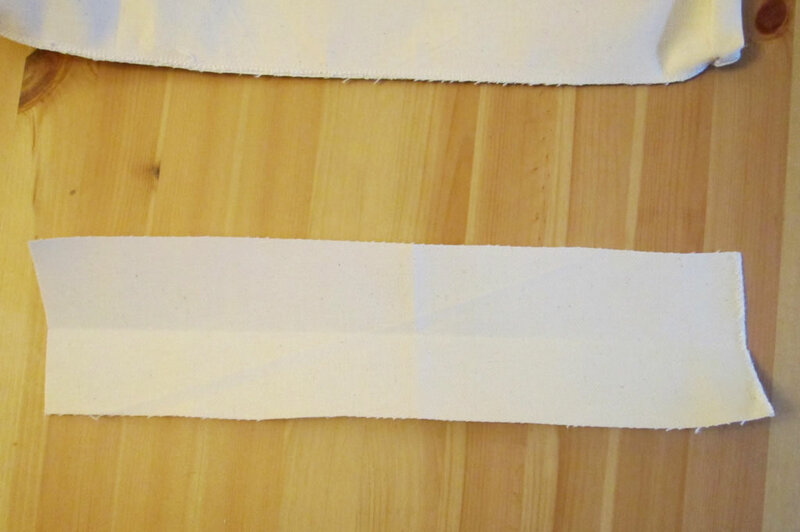 Into those gaps, you’ll need to crocheted 2 groups of stitches. Into the other spaces, crochet one group. For my crocheted bunting, I made a flower with 6 petals. Into the first space between the petals, I crocheted 1 group of trebles, then into the next space I crocheted 2 groups of trebles. When that round was completed, I had 3 lots of 2 groups, and 3 lots of one. The groups of 2 made the points of the triangles. So when I went round again, I crocheted 2 groups into the spaces at the points, and one group into each of the other spaces. 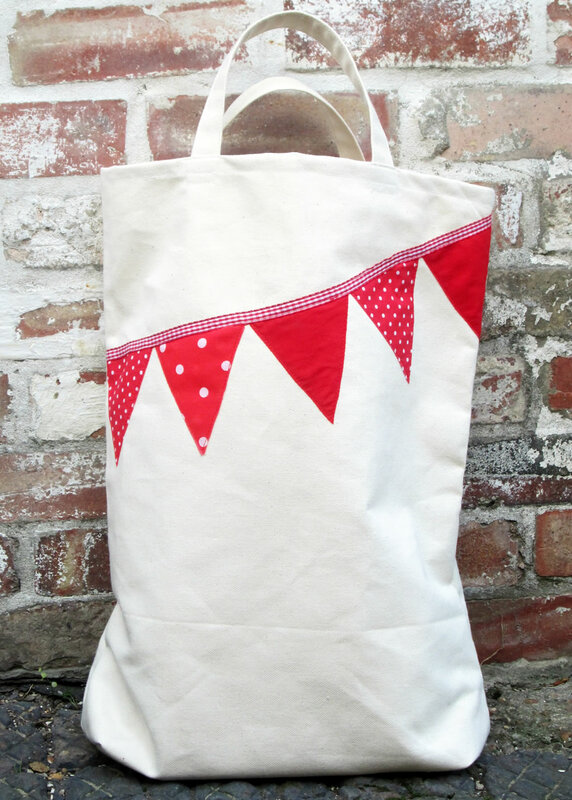 If you’d like some more inspiration, then please take a look at my bunting board on Pinterest. I’m hoping you’ll join in! So far we’ve had 2 Year of Bunting Challenges. 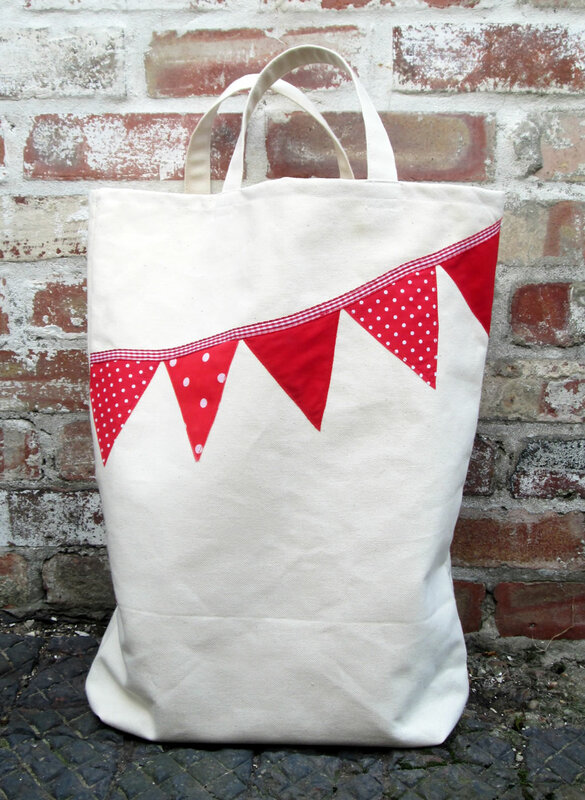 The first was to decorate some furniture with bunting, and the second was to make some embroidered bunting. You can see what the winners made for the first challenge here. I haven’t written up the second one yet, but there was a lovely cross stitch design on a bookmark, an embroidered needle case and an embroidery hoop thing with tassels and bunting. It’s lovely that people are joining in, but I know that having a timescale on something, although it is necessary for a challenge, isn’t always an aid to creativity! Some of us need plenty of thinking time as well as plenty of making time. So here is a list of the rest of the Year of Bunting challenges. If you would like to download a PDF version, you can do so here. There’ll be one a month until November. I haven’t decided whether to do one in December, but I might leave it as everybody’s so busy before Christmas. It will also give us a bit of extra time if we need it for any of the other challenges. I’ll still introduce each challenge. They will start at the beginning of the month and run until the end of that month. Having the list in advance means that you can decide which ones you’d like to do! If you want to start them early, that’s fine! The winners will be notified by email and I’ll let everybody else know too. To make things a bit easier at my end of things, I’m going to assume that you’re happy for me to use your photograph and your first name if you win. If you don’t want me to do this, please let me know! You can email me at teaandasewingmachine@gmail.com. I’m hoping lots of you will join in! If you have any questions, please ask me :).